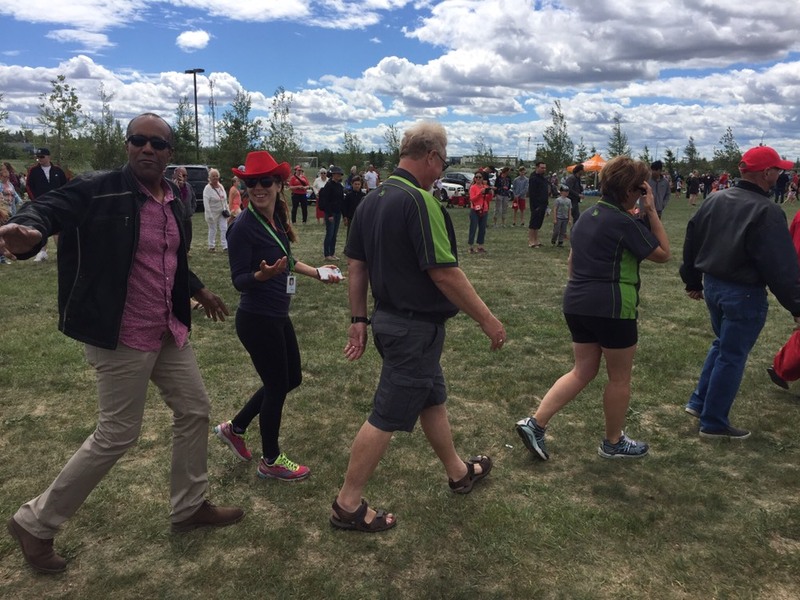 It was great being at Rotary Park with most of Council for Canada Day! Agenda Committee was interesting, as we had to fit in all the more urgent items into Monday's meeting before we break for the summer. Responsibilities have been added for the City Manager (or designate) to advertise any upcoming Council Training Workshops in order to provide public notice of same and to ensure, where appropriate, that material presented to Council are available to the public. The wording permitting discussion between Council members has been removed. A section has been added stating the material presented to Council shall not cover any topic that advances the business of the City or an existing Council motion." This should be the last time that we're looking at this policy, having considered it a couple of times already this year. 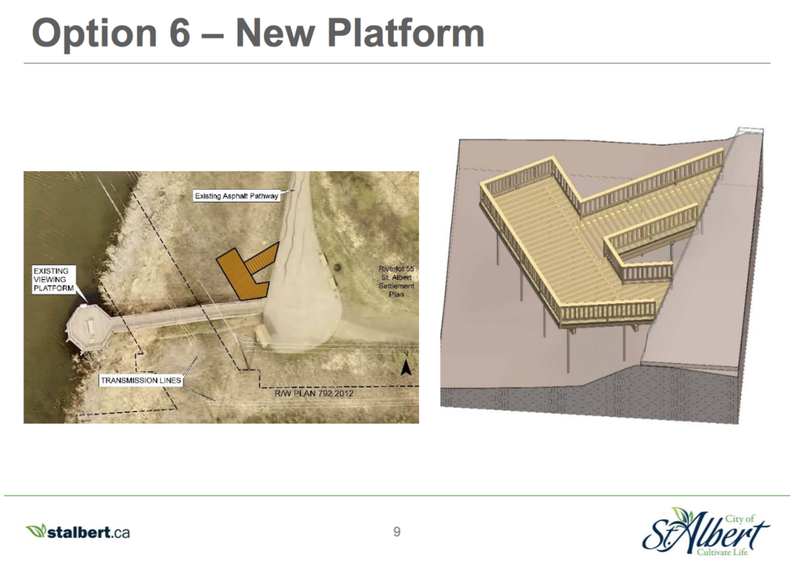 "Remove the existing structure (estimated cost $123,400) and replace with a new platform outside of the existing power right of way (estimated cost $157,500), total cost of $280,900, estimated life span would be 30-45 years, estimated completion date of March 2019 or January 2020. Note that permitting/ consulting costs are shared in this option due to removal and reconstruction in floodplain. Completion date may change depending on environmental regulations and permitting." Admin is recommending one small amendment to align allowed cannabis retail locals with allowed liquor store locations (because we missed it in all the excitement during second reading) before passing third reading. Which means we'll be done with cannabis retail for now! Last week, after an in-camera session, Council voted to "approve additional one-time funding to Seven Music Fest in the amount of up to $50,000... for the purposes of covering costs without overhead or management fees for the running the 2018 Festival..." The fund that this was supposed to come from (Community Significant Event Stimulus Fund) has insufficient funds, so this motion is to consider funding the last $10,000 from the Stabilization Reserve. I've proposed a stack of amendments that would require grant applicants to show how their groups/not-for-progit businesses are considering inclusive hiring and participation policies. Answers that do not show consideration for inclusivity or an absence of policy would not prevent a group from successfully securing grant funding. Environmental Initiatives Grant (up to $5,000) & Community Capital Program & Games Legacy Award & Outside Agency Program: Admin does not recommend passing the motions, although they do "suggest that a question can be added to the application specific to raising additional conversation and thought such as “What measures does your organization take to ensure the diverse accessibility needs of your staff, volunteers, membership and potential membership are addressed? Howwill this project impact and improve accessibility?... This will keep the focus of thegrant application and review on the project itself but will encourage thought surrounding embracing diversity and supporting an inclusive and accessible community." I can't tell if they need a motion of Council to go ahead with this update, but it looks like this could be accomplished within the authority of admin, which would be fantastic. Community Events Grant: Admin does not recommend passing the motion, although they do "suggest adding a question to the application form for this grant which encourages conversation andthought such as “What actions will your organization be taking to ensure that yourevent is accessible and welcoming to all?” in addition to the suggestions for the other grants. I can't tell if they need a motion of Council to go ahead with this update, but it looks like this could be accomplished within the authority of admin, which would be fantastic. I've moved to have the name of this grant changed "to reflect that it is a grant, and that it is available for both amateur sport and art endeavours." Administration is supportive of this motion as it provides clarity to the intent of the program. I've also moved to have Admin/Community Services Advisory Committee make a recommendation to increase grant amounts and to have future increases tied to a formula so that grant amounts won't stay stagnant without direct intervention by Council. Admin is also supportive of this motion. Notice of motion was provided last Monday to have Admin "issue a public request for proposals for interested parties to provide" aquatics and/or ice facility, with detailed drawings, and options for "alternative capital financing strategies". To debate this motion, Council will have to agree to waive the the minimum time requirement for notice of motion.